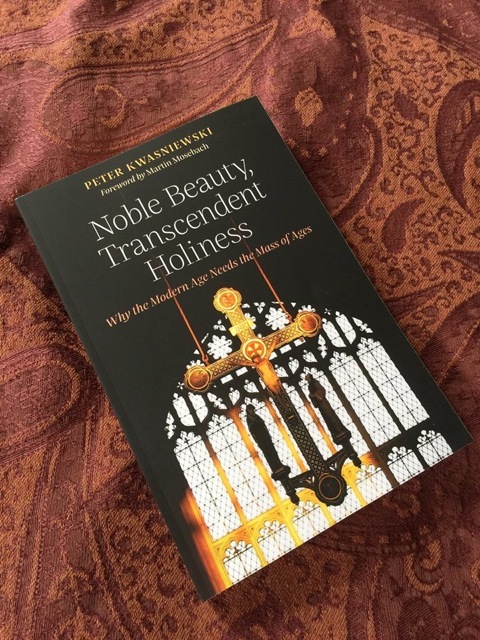 Our thanks go once again to Roseanne T. Sullivan, this time for sharing with us her interview with our own Dr Peter Kwasniewski, concerning his recent book. 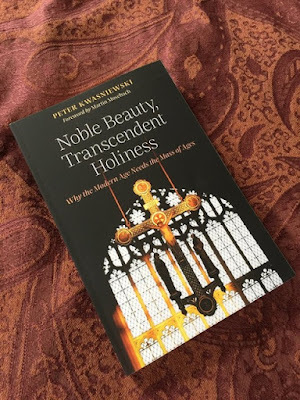 RTS: In your new book Noble Beauty, Transcendent Holiness: Why the Modern Age Needs the Mass of Ages (Angelico Press, 2017), you write as an unabashed apologist for the traditional Latin Mass. You are positive not only that “the Mass of the Ages” is far superior to the new Mass, which Pope Benedict XVI called the Ordinary Form, but also that the Roman Catholic Church should go back to the Extraordinary Form. Can you summarize here why the Church should return to the Extraordinary Form? In short, the traditional liturgy expresses the fullness of the Catholic Faith and preserves the piety of Christians intact. This is more than sufficient reason for adhering to it and for insisting that it be the norm, always and everywhere. Dr. Kwasniewski: The older rite is impressively theocentric, focused on God and the primacy of His Kingdom. It is shot through with words and gestures of self-abasement and penitence, attentive reverence and adoration, acceptance of God’s absolute claims upon us. Its prayers and ceremonial bear witness to both the transcendence and the immanence of God: He is Emmanuel, God among us, but also the One who dwells in thick darkness, whom no man has seen or can see. He is our Alpha and Omega, our all in all. The traditional liturgy is uncompromising on this point. Even in what you might call its “instructional” moment, the reading or chanting of Scripture, it remains fixed on the Lord, as if we are not so much reading to ourselves as we are reminding Him of what He said to us—as if we are asking Him to fulfill it again in our midst, according to His promise. The old Mass never deviates from the gaze of the Lord, always remains under His eye, conscientiously turned to Him. It plunges us into the life-and-death necessity of prayer. Padre Pio said “prayer is the oxygen of the soul.” We breathe that oxygen in the old Mass. Dr. Kwasniewski: We might do that in the new Mass, but it is much more difficult to do. The oxygen is harder to get. 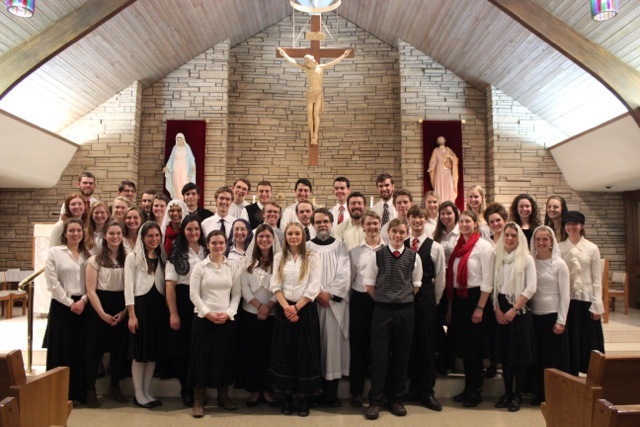 The needs and demands of the spiritual life are muted, swept under the carpet, in this stripped-down vernacular liturgy facing the people, replete with sappy songs, announcements, constant chatter. It was designed to be populocentric, to connect people with one another and with the priest around a table, a meal. As Ratzinger has said, God disappears in such a set-up. He may be there on the altar, but the people’s minds and hearts are elsewhere. Should we really be surprised that, according to repeated polls, most Catholics who attend the Novus Ordo do not believe in the Real Presence—do not even know that the Church teaches it? The liturgy does not help them to see, to experience, that truth. It is not just about adequate catechesis. It is about whether the liturgy vividly expresses the truths of the Faith. Dr. Kwasniewski: Exactly. Or maybe better, a certain attitude of modernity. At its root, modernity is anti-sacral, anti-religious, anti-incarnational, and therefore anti-clerical, anti-ritual, anti-liturgical. You can see this from the many philosophers of the Enlightenment who rejected both divine revelation and organized religion. A few centuries later, we moderns who have imbibed all this philosophical baggage have almost no clue what a solemn, formal, objective, public religious ritual is supposed to look like. We are at a total loss about corporate worship in which the individual ego is subsumed into the greater community of the Church across time and space. That is why we must clutch to the traditional liturgy for dear life. It is, for all intents and purposes, pre-modern—so old that it is unaffected by our contemporary shallowness, biases, prejudices. It breathes a realism, a spaciousness, a strength, a chivalry even, that has become foreign to our age and so, for that very reason, is desperately needed by us. Modern man needs nothing so much as to be delivered from the prison of his Promethean modernism. He needs to be challenged with that which is older, deeper, wiser, stronger, lovelier, happier. He needs to be ignored, not coddled; mystified, not lectured to; silenced, not uncorked. Dr. Kwasniewski: I don’t know what the future holds, but right now, looking at the virtual schism in the Catholic Church over basic points of faith and morals, it is hard to escape the conclusion that some mighty upheavals are in the offing, and that many things that might have seemed impossible a short while ago may suddenly become possible. In my opinion, the movement for Catholic orthodoxy and the movement for liturgical tradition are coming closer all the time and have already combined in many ways into a single movement. A time will come, I believe, when Catholics who profess the Niceno-Constantinopolitan Creed, who adhere to the traditional sexual morality of the Church, and who accept priestly celibacy as a discipline willed by the Lord will be celebrating the usus antiquior either exclusively or predominantly. Of course, I have no way of proving this, but let’s call it an educated guess. In any case, we need to have a sound historical perspective based on the study of reform movements in Church history, of which nearly every century has given us shining examples. Every reform movement started with a few people who, rightly scandalized by the faithlessness or immorality of their times and animated with the fervor of divine love, worked tirelessly and organized effectively to promote personal conversion and institutional change. It has always happened this way, and our times will be no exception. We have to beware of a subtle form of consequentialism, whereby we think we are doing the right thing because we are successful, or that as long as we do the right thing we cannot fail to be successful. No. We do the right thing even if it’s improbable, difficult, quixotic, leads to martyrdom. The success the Lord wants is for souls who care about Him to return to the sacred liturgy in its uncorrupted form, whether we are supported and applauded for this fidelity, or opposed and persecuted. He will do the rest for us. We are counting not on our superior numbers or might but on His resources, His interventions, His multiplication of bread and loaves. The fact of the matter is, the traditional movement is indeed growing. 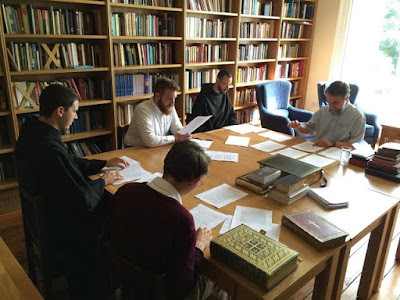 All the numbers are there for examination: the numbers of priests and seminarians in traditional orders or communities, as well as the apostolates being entrusted to them, are steadily climbing. The number of families associated with their apostolates is ever on the increase. If someone in the Western world today wants to see a church full of large families, he has to visit traditional communities, for he will hardly find them elsewhere! Traditionalist books, magazines, pamphlets, catalogs, and religious items are burgeoning, which at least points to a market. Intellectuals and artists, to the extent that the contemporary Church has them, are decidedly favorable to traditionalism. RTS: When the traditional Latin Mass was made more widely available, many of us hoped that its beauty and reverence would evangelize itself. After ten years, I and others have noted that the Extraordinary Form hasn’t achieved much acceptance among people who are attached to the Ordinary Form. Even when it is available, it is often sparsely attended. For example, more than a year after San Francisco Archbishop Salvatore Cordileone instructed a pastor of a beautiful, centrally located Star of the Sea church to learn the traditional Latin Mass and start offering it every Sunday before noon, I drove up to the city from where I live in San Jose an hour away, and I saw to my disappointment that very few people actually attend that almost-ideally situated Mass. I am not alone in my observations. For example, even when the traditional Latin Mass was offered regularly at Our Saviour Church in New York City by the very well-known Father Rutler, it attracted only a small group, by his own testimony. Dr. Kwasniewski: This really isn’t surprising. As Pope Benedict XVI said in his letter to bishops of July 7, 2007: “The use of the old Missal presupposes a certain degree of liturgical formation and some knowledge of the Latin language; neither of these is found very often.” Put simply: many people are not ready for it. Some, it’s true, attend once and are hooked forever, but for others, there’s a steep learning curve. They are the victims of such bad liturgical practices and habits that they will not know what to do with themselves when suddenly up against the edge of an infinite chasm of prayer, with no one to hold their hand, and a ritual that unfolds with what may look like a lofty indifference or a chilly remoteness. It is severely disturbing to your average Catholic. This is why, by the way, I always say that if you want to bring someone to a Tridentine Mass, you should bring him to a Missa cantata or even a Solemn High Mass, if you can find one nearby. The High Mass is far easier to relate to, as it appeals to all the senses, and carries the worshiper along on a gentle stream. RTS: Yes, I can see your point. So, you think it’s unfair to say that the traditional Latin Mass is a “boutique phenomenon” among American Catholics? Dr. Kwasniewski: First let’s wait till it’s available everywhere, for many years, and then we can re-assess the question. But coming back to what I said a moment ago: the Latin Mass is hard-core, full-on Catholicism, no holds barred. The liturgy is longer and more elaborate. The music is likely be the real stuff: Gregorian chant, polyphony. The preaching is also likely to be tougher, closer to what you’d expect from a religion that claims to be divinely revealed as the only way to salvation. Women are wearing mantillas, people are dressed formally. The whole package is radically opposed to the mores of contemporary Americans, including, sadly, Catholics themselves, who are contracepting and divorcing at pretty nearly the same rate as their heathen counterparts. I hate to say it, but the dominant ersatz version of Catholicism really is like a different religion, compared to the historic, authentic, dogmatic, ascetical-mystical Catholicism embodied in the traditional liturgy and all the devotions that flourish in its ambit. So, do we call this a “boutique phenomenon,” or do we have the courage to admit that Catholicism is in a state of accelerating decomposition and that most of what the world calls “Catholicism” is, at best, a shadow of the reality, if not a contradiction of it? But let us be honest about this, too: the main reason the old Mass has not caught on more is the lack of availability and the lack of ecclesiastical support. Pope Benedict liberated it for the benefit of all priests and for the faithful they serve, but a huge number of priests have been cajoled, threatened, ostracized, or removed from ministry due to conflicts over Summorum Pontificum. I know what I am talking about from firsthand experiences. Too many bishops and pastors are opposed to it, and the young clergy who can already do the old liturgy or who may wish to learn it are kept down, forced into the mold of the postconciliar revolution. The lack of growth to which you refer is the result of a deliberate strategy of “containment” that is discussed and implemented at the level of episcopal conferences. Not officially, mind you, but behind closed doors. Thanks be to God there are still some heroic bishops and priests here and there who, in spite of all the political pressure, manage to hold their own line and promote the recovery of liturgical tradition in their dioceses or parishes. It is happening, slowly, across the face of the earth—I have been to many such places and seen the lively faith of clergy and laity. But it could and should be happening everywhere. There is an artificial limitation being imposed by monopolists. If we had a “free market economy,” so to speak, we would be looking at a far different picture. Again, this situation is not unprecedented, either in salvation history or in Church history (which itself follows, again and again, the pattern of salvation history). Remember the story of Gideon in Judges 7? He had with him 32,000 troops to go up against the Midianites. The Lord said to him: “The people with you are too many for me to give the Midianites into their hand, lest Israel vaunt themselves against me, saying, ‘My own hand has delivered me.’” The Lord succeeded in lowering the number first to 10,000, then to 300. With these “picked men,” Gideon obtained total victory over his enemies, who were “like locusts for multitude.” The Lord seems to have a preference for winning improbable victories, so that the glory can be His and not ours. “Not to us, O Lord, not to us, but to Thy Name give glory.” I take much comfort in this. Dr. Kwasniewski: I couldn’t agree more, except that I’d say we don’t always have to be shouting. We need to practice the art of persuasion, good advertising, and, obviously, best behavior. The take-away is that we have a lot of work to do in winning our brothers and sisters over to traditional Catholicism, for their own good and for the health of the Church. This is going to happen to some extent naturally as things get worse in the Church and in the world. People who are serious about the Faith will ask: “Where is this Faith being taught and lived? Where is there a priest who believes and preaches the Faith? Where is the liturgy being celebrated in a way that nourishes and strengthens my faith?” We need to be there for them when they start asking these questions, and not drive them away because they are initially poorly dressed, or kneel at the wrong times, or sing badly, or have confused ideas. RTS: You write that lots of young seminarians and newly ordained priests have learned to celebrate the traditional Latin Mass, and you are hopeful about that. I am too. But recently some liberals are saying that the tradition-loving, cassock-wearing seminarians who came in during Benedict’s reign might be supplanted by a newer wave of priests influenced by Pope Francis. Dr. Kwasniewski: I imagine this is true to some extent. But again, I think it would not be so much a swinging of the pendulum as the ongoing residue of postconciliar confusion, which has polluted nearly everyone’s thinking. Moreover, if progressives are in charge of seminaries, they know very well how to filter out the “excessively rigid” candidates—you know, those who believe the Catechism, pray the rosary, kneel for communion, and such things. Hence, in some seminaries the “Francis Effect” will certainly show itself as the rejection or dismissal of perfectly acceptable but “rigid” candidates. The shift in mentality ushered in by Benedict XVI should by no means be under-estimated. He elevated the Church’s intellectual, spiritual, and liturgical profile to a level it had not enjoyed since before the Council, and left behind a treasure-trove of writings, particularly on the sacred liturgy, that will be read for decades and possibly centuries to come. The “Benedict Effect” may be quieter, but it’s deeper and more pervasive. Wherever you find a diocese bursting with vocations and Mass attendance, you will find the Ratzingerian influence at work. RTS: I know a priest who gradually removed most of the liturgical abuses in his parish over almost a decade, with much more patience than I could have shown, and for all his pains, he received a lot of rancor. Eventually, in spite of all his patient catechesis of his parishioners, the priest was removed by his religious superior. All this happened under a supportive bishop. I fear to think what new tradition-minded priests will face in their parishes after ordination. Dr. Kwasniewski: Yes, I don’t want to seem like a Pollyanna who is downplaying the difficulties. They are very real. For one thing, the persecution of orthodox Catholics is getting worse under this pontificate. Anyone who questions Amoris Laetitia, for example, is instantly persona non grata. A priest who preaches against homosexuality or contraception from the pulpit might well be “disciplined.” And a priest who starts offering the Latin Mass might as well tape a bull’s eye on the back of his shirt, with the words: “Shoot me!” But this cannot and will not be the final word. We are only in one phase of a long battle. No pope and no bishop lasts forever; generations come and go, some problems disappear and others arise to take their place. This much is clear: the priests who are faithful to their sacerdotal ministry, who preach the truth “in season and out of season,” who offer the liturgy with utmost reverence, who make the Tradition come alive again: these priests will be blessed even in the midst of many crosses, and will become a blessing to their people. Our Lord will take care of them and make of them what He will. I know priests who have gone through terrible situations, which were the prelude to their arrival in a better place, to do more important work. We have to have confidence that God will take care of His own when they do what they are supposed to do. I know a priest who has been punished for his stance on never giving communion to people in the hand, because it goes against his conscience to see the Body of Our Lord handled in that casual way, with the danger of particles being lost (not to mention the loss of faith in the Real Presence and the ontological distinction between the ordained and the non-ordained). I admire him and others like him. They are the grain of wheat that will fall into the ground and die, so that an abundant harvest can spring forth. I would also say that young men discerning a priestly vocation need to be wise as serpents and innocent as doves (cf. Mt 10:16). They should think about whether it would not be better for them to join a society of apostolic life or a religious community that utilizes only the old liturgical books. These books are repositories of the Church’s tradition. And the priests who are bound to their use will not face the same kind of opposition and maltreatment that the secular clergy too often do. I would say something similar, incidentally, to young women discerning a religious vocation—indeed, it is even more important for them to join a community that will be served exclusively by priests who offer the usus antiquior. Dr. Kwasniewski: Absolutely. You run into it everywhere. Faithful people are especially scandalized by what’s happening in the upper ranks of the Church, and they are predicting that the sky will fall in on our heads. Maybe it will, but that’s still not the end of the world. Nor will it be the end of us, either. We have to fight hard against discouragement. St Thérèse said: “Discouragement is a form of pride.” It is pride in the sense that we start second-guessing Divine Providence and blaming the Lord for not intervening or solving this or that problem as we would have done. But God is in charge, and His ways are not our ways. Our job is to do, as well as we can, whatever He has given us the light and strength to do. We all know the famous words of Mother Teresa: “We are called upon not to be successful, but to be faithful.” God will bless and multiply the good of our fidelity to Him, to the Church, to Catholic Tradition, whether we see the fruits of it in our lifetime or not. RTS: This past August, Pope Francis stated that there is no possibility of rethinking the decisions behind the liturgical changes; all we should do now is seek to understand the reasons why they were made. He said: “We can affirm with certainty and magisterial authority that the liturgical reform is irreversible.” What do you make of this? Dr. Kwasniewski: It is not easy to understand what the Holy Father expects to accomplish in this sentence, as it is not a doctrinal statement but an evaluation of a contingent historical fact, namely, the process of reform that began after Sacrosanctum Concilium and culminated in the various Novus Ordo liturgical books. It’s like saying: “The Euro is irreversibly established in Europe.” Why should we think so? Or: “The ecumenism of the past fifty years is an irreversible fact.” Sure, no one can deny that it has happened, and as such, cannot be undone. But that doesn’t say anything about what the future holds. The whole thing, new liturgical rites or ecumenism or whatever, could be scrapped, or at least severely “corrected,” by a forthcoming Leo XIV or Benedict XVII or Pius XIII. One might also note that one pope (Clement VII) authorized the novel breviary designed by Cardinal Quiñones, another (Paul III) approved it, and yet a third (Paul IV) suppressed it, deeming it a rupture in the tradition and excessively influenced by Protestant theology. Popes actually can get the liturgy wrong, according to other Popes. Councils, too, are by no means infallible when it comes to recommendations about practical things to be done or not done. No one questions that the Council Fathers desired minor changes to the liturgy, but many notable authors, including Joseph Ratzinger and Louis Bouyer, have raised serious questions about the manner in which these changes were actually carried out. RTS: Thank you for this interview. I am especially happy that you were willing to frankly address some of the problems that troubled me when I was reading your eloquent and persuasive essays in Noble Beauty. As you said “many things that might have seemed impossible a short while ago may suddenly become possible.” And, I agree, we do have to fight hard against discouragement. We have to be humble and holy ourselves so that God can work through us to obtain His purposes. I hope and pray that many readers will also find in your book, as I have done, much to think about, much to be consoled about, and much to be strenghthened by. Dr. Kwasniewski: Thank you very much. Oremus pro invicem.